Sinirbiliminden son on yıl içinde elde edilen bulgular, psikiyatrik hastalıkların algılanış biçimiyle ilgili anlayışımızı şekillendirdi. Psikiyatrik bozuklukları açıklamada, psikolojik ve sosyokültürel faktörlere dayanan daha geleneksel teorilere ek olarak, genetik ve nörolojik bileşenleri de içeren çok yönlü bir etyolojiyi destekleyen kanıtlar her geçen gün artmaktadır. Kendini aç bırakma ve aşırı derecede düşük vücut ağırlığı ile tanımlanan ve ölümcül olma riski yüksek bir psikiyatrik bozukluk olan anoreksiya nervoza, bu bulgular ışığında, bir beyin bozukluğu olarak sınıflandırılabilir. Birbirinden farklı sonuçlar mevcut olmakla birlikte, anoreksiya nervoza hastalarının beyinlerindeki yapısal ve nörokimyasal değişiklik ve anomalileri ve bunların işlevsel önemi ve bilişsel sonuçlarını araştıran birçok çalışma bulunmaktadır. Bu derlemenin amacı, anoreksiya nervozada saptanan anomali ve değişiklikleri ve bunları hedef alan birtakım tedavi yaklaşımları ile ilgili güncel literatürü bir araya getirmektir. The findings from neuroscience have shaped our understanding in the past decade regarding the way we perceive psychiatric illness. In addition to the more conventional theories that are based solely on the psychological and sociocultural factors to explain psychiatric disorders, there is growing evidence supporting a multifactorial etiology with genetic and neurological components. Anorexia nervosa, a life-threatening psychiatric disorder with relentless restrictive eating resulting in extremely low body weight, is one such illness that may be categorized as a brain disorder based on the recent findings. Although inconsistencies exist, several studies investigated the structural and the neurochemical alterations in the brain as well as the functional significance and the cognitive manifestations of these abnormalities in anorexia nervosa patient. This review aims to summarize the current literature on the neural aberrations and several treatment approaches targeting these abnormalities in anorexia nervosa. Abbate-Daga G, Buzzichelli S, Marzola E, Amianto F, Fassino S (2012) Effectiveness of cognitive remediation therapy (CRT) in anorexia nervosa: a case series. J Clin Exp Neuropsychol, 34(10):1009-15. American Psychiatric Association. Diagnostic and Statistical Manual of Mental Disorders (DSM-5®) (2013). American Psychiatric Pub. Ariyasu H, Takaya K, Tagami T, Ogawa Y, Hosoda K, Akamizu T et al. (2001) Stomach is a major source of circulating ghrelin, and feeding state determines plasma ghrelin-like immunoreactivity levels in humans. J Clin Endocrinol Metab, 86(10):4753-4758. Artmann H, Grau H, Adelmann M, Schleiffer R (1985) Reversible and non-reversible enlargement of cerebrospinal fluid spaces in anorexia nervosa. Neuroradiology 27(4):304-312. Avena NM, Bocarsly ME (2012) Dysregulation of brain reward systems in eating disorders: neurochemical information from animal models of binge eating, bulimia nervosa, and anorexia nervosa. Neuropharmacology, 63(1):87-96. Bailer UF, Frank GK, Henry SE, Price JC, Meltzer CC, Weissfeld L et al. (2005) Altered brain serotonin 5-HT1A receptor binding after recovery from anorexia nervosa measured by positron emission tomography and [carbonyl11C] WAY-100635. Arch Gen Psychiatry, 62(9):1032-41. Bailer UF, Frank GK, Henry SE, Price JC, Meltzer CC, Mathis CA et al. (2007) Exaggerated 5-HT1A but normal 5-HT2A receptor activity in individuals ill with anorexia nervosa. Biol Psychiatry, 61(9):1090-1099. Bailer UF, Frank GK, Henry SE, Price JC, Meltzer CC, Becker C et al. (2007b) Serotonin transporter binding after recovery from eating disorders. Psychopharmacology (Berl), 195(3):315-24. Bailer UF, Frank GK, Price JC, Meltzer CC, Becker C, Mathis CA et al. (2013) Interaction between serotonin transporter and dopamine D2/D3 receptor radioligand measures is associated with harm avoidant symptoms in anorexia and bulimia nervosa. Psychiatry Res, 211(2):160-168. Baldo B, Kelley A (2007) Discrete neurochemical coding of distinguishable motivational processes: insights from nucleus accumbens control of feeding. Psychopharmacology (Berl), 191(3):439-459. Bardone-Cone AM, Wonderlich SA, Frost RO, Bulik CM, Mitchell JE, Uppala S et al. (2007) Perfectionism and eating disorders: Current status and future directions. Clin Psychology Rev, 27(3):384-405. Bergen AW, Yeager M, Welch RA, Haque K, Ganjei JK, van den Bree MB et al. (2005) Association of multiple DRD2 polymorphisms with anorexia nervosa. Neuropsychopharmacology, 30(9):1703-1710. Berridge KC (1996) Food reward: Brain substrates of wanting and liking. Neurosci Biobehav Rev, 20(1), 1–25. Berthoud HR (2002) Multiple neural systems controlling food intake and body weight. Neurosci Biobehav Rev, 26(4):393-428. Bewernick BH, Hurlemann R, Matusch A, Kayser S, Grubert C, Hadrysiewicz B et al. (2010) Nucleus accumbens deep brain stimulation decreases ratings of depression and anxiety in treatment-resistant depression. Biol Psychiatry, 67(2):110-116. Biezonski D, Cha J, Steinglass J, Posner J, (2016). Evidence for thalamocortical circuit abnormalities and associated cognitive dysfunctions in underweight individuals with anorexia nervosa. Neuropsychopharmacology, 41(6):1560-1568. Blundell JE, Goodson S, Halford JC (2001) Regulation of appetite: role of leptin in signalling systems for drive and satiety. Int J Obes Relat Metab Disord, 25:29-34. Bomba M, Riva A, Veggo F, Grimaldi M, Morzenti S, Neri et al. (2013) Impact of speed and magnitude of weight loss on the development of brain trophic changes in adolescents with anorexia nervosa: A case control study. Ital J Pediatr, 39(1):14. Bomba M, Riva A, Morzenti S, Grimaldi M, Neri F, Nacinovich R (2015) Global and regional brain volumes normalization in weight-recovered adolescents with anorexia nervosa: Preliminary findings of a longitudinal voxel-based morphometry study. Neuropsych Disord Treat, 11:637–645. Boone L, Claes L, Luyten P (2014) Too strict or too loose? Perfectionism and impulsivity: The relation with eating disorder symptoms using a person-centered approach. Eat Behav, 15(1):17–23. Bowden PK, Touyz SW, Rodriguez PJ, Hensley R, Beumont PJ (1989) Distorting patient or distorting instrument? Body shape disturbance in patients with anorexia nervosa and bulimia. Br J Psychiatry, 155(2):196–201. Bremner JD, Licinio J, Darnell A, Krystal JH, Owens MJ, Southwick SM et al. (1997) Elevated CSF corticotropin-releasing factor concentrations in posttraumatic stress disorder. Am J Psychiatry, 154: 624-629. Bressler SL, Menon V (2010) Large-scale brain networks in cognition: Emerging methods and principles. Trends Cogn Sci, 14(6): 277–290. Brewerton TD (2012) Antipsychotic agents in the treatment of anorexia nervosa: neuropsychopharmacologic rationale and evidence from controlled trials. Curr Psychiatry Rep, 14(4): 398-405. Broft A, Slifstein M, Osborne J, Kothari P, Morim S, Shingleton R et al. (2015) Striatal dopamine type 2 receptor availability in anorexia nervosa. Psychiatry Res, 233(3): 380-387. Brooks SJ, Barker GJ, O'Daly OG, Brammer M, Williams SC, Benedict C et al. (2011) Restraint.of appetite and reduced regional brain volumes in anorexia nervosa: A voxel-based morphometric study. BMC Psychiatry, 11(1): 179. Brown KM, Bujac SR, Mann ET, Campbell DA, Stubbins MJ, Blundell JE (2007) Further evidence of association of OPRD1 & HTR1D Polymorphisms with susceptibility to anorexia nervosa. Biol Psychiatry 61(3): 367–373. Bush G, Luu P, Posner MI (2000) Cognitive and emotional influences in anterior cingulate cortex. Trends Cogn Sci 4(6):215–222. Bush G, Vogt BA, Holmes J, Dale AM, Greve D, Jenike MA et al. (2002) Dorsal anterior cingulate cortex: a role in reward-based decision making. Proc Natl Acad Sci, 99(1): 523-528. Calati R, De Ronchi D, Bellini M, Serretti A (2011) The 5-HTTLPR polymorphism and eating disorders: A meta-analysis. Int J Eat Disord, 44(3): 191–199. Casiero D, Frishman WH (2016) Cardiovascular complications of eating disorders. Cardiol Rev 14(5): 227–231. Carter CS, Braver TS, Barch DM, Botvinick MM, Noll D, Cohen JD (1998) Anterior cingulate cortex, error detection, and the online monitoring of performance. Science, 280(5364): 747-749. Casiero D, Frishman WH (2006) Cardiovascular complications of eating disorders. Cardiol Rev 14(5): 227-231. Cassin SE, von Ranson KM (2005) Personality and eating disorders: a decade in review. Clin Psychol Rev 25(7): 895-916. Castellini G, Polito C, Bolognesi E, D’Argenio A, Ginestroni A, Mascalchi M et al. (2013) Looking at my body. Similarities and differences between anorexia nervosa patients and controls in body image visual processing. Eur Psychiatry 28(7): 427-435. Castro-Fornieles J, Bargalló N, Lázaro L, Andrés S, Falcon C, Plana MT et al. (2009) A cross-sectional and follow-up voxel-based morphometric MRI study in adolescent anorexia nervosa. J Psychiatr Res, 43(3): 331–340. Cavanna AE (2006) The precuneus: A review of its functional anatomy and behavioural correlates. Brain, 129(3): 564–583. Chikama M, McFarland NR, Amaral DG, Haber SN (1997) Insular cortical projections to functional regions of the striatum correlate with cortical cytoarchitectonic organization in the primate. J Neurosci, 17(24), 9686-9705. Chui HT, Christensen BK, Zipursky RB, Richards BA, Hanratty MK, Kabani NJ et al. (2008). Cognitive function and brain structure in females with a history of adolescent-onset anorexia Nervosa. Pediatrics. 122(2): 426–437. Cloninger CR, Bayon C, Svrakic DM (1998) Measurement of temperament and character in mood disorders: a model of fundamental states as personality types. J Affect Disord, 51(1): 21-32. Collantoni E, Michelon S, Tenconi E, Degortes D, Titton F, Manara R et al. (2016) Functional connectivity correlates of response inhibition impairment in anorexia nervosa. Psychiatry Res, 247: 9–16. Connan F, Campbell IC, Katzman M, Lightman SL, Treasure, J (2003) A neurodevelopmental model for anorexia nervosa. Physiol Behav, 79(1): 13–24. Connan F, Murphy F, Connor SE, Rich P, Murphy T, Bara-Carill N et al. (2006) Hippocampal volume and cognitive function in anorexia nervosa. Psychiatry Res, 146(2): 117–25. Couturier J, Lock J (2006) What is recovery in adolescent anorexia nervosa? Int J Eat Disord 39: 550-555. Cowdrey FA, Harmer CJ, Park RJ, McCabe C (2012) Neural responses to emotional faces in women recovered from anorexia nervosa. Psychiatry Res: Neuroimaging, 201(3):190-195. Craig AD (2010) The sentient self. Brain Struct Funct, 214(5-6): 563–577. Cserjési R, Vermeulen N, Lénárd L, Luminet O (2011) Reduced capacity in automatic processing of facial expression in restrictive anorexia nervosa and obesity. Psychiatry Res 188(2): 253–257. Daw ND, Kakade S, Dayan P (2002) Opponent interactions between serotonin and dopamine. Neural Netw, 15(4-6): 603–616. Dawe S, Loxton NJ (2004) The role of impulsivity in the development of substance use and eating disorders. Neurosci Biobehav Rev, 28(3): 343-51. Davies H, Tchanturia K (2005) Cognitive remediation therapy as an intervention for acute anorexia nervosa: A case report. Eur Eat Disord Rev, 13(5): 311-316.
de Araujo IE (2004) Representation in the human brain of food texture and oral fat. J Neurosci, 24(12): 3086–3093. Delgado MR, Nystrom LE, Fissell C, Noll DC, Fiez JA (2000) Tracking the hemodynamic responses to reward and punishment in the striatum. J Neurophysiol, 84(6): 3072-3077. De Zwaan M, Schlaepfer TE (2013) Not too much reason for excitement: Deep Brain Stimulation for Anorexia Nervosa. Eur Eat Disord Rev, 21(6): 509-511. Diamond A (1990) Developmental time course in human infants and infant monkeys, and the neural bases of, inhibitory control in reaching. Ann N Y Acad Sci, 608(1 The Developme): 637–676. Dietrich A, McDaniel WF (2004) Endocannabinoids and exercise. Br J Sports Med, 38(5): 536–541. Dold M, Aigner M, Treasure J, Kasper S (2015) Are second-generation antipsychotic drugs effective in treating anorexia nervosa? Eur. Psychiatry, 30: 1339. Dostálová I, Kopský V, Dušková J, Papežová H, Pacák K, Nedvídková J (2005) Leptin concentrations in the abdominal subcutaneous adipose tissue of patients with anorexia nervosa assessed by in vivo microdialysis. Regul Pept, 128(1):63-68. Downing PE (2001) A cortical area selective for visual processing of the human body. Science, 293(5539): 2470–2473. Fairburn CG, Cooper D Phil, Dip Psych Z, Doll D Phil, HA, O’Connor ME, Bohn D Phil et al. (2009) Transdiagnostic cognitive-behavioral therapy for patients with eating disorders: a two-site trial with 60-week follow-up. Am J Psychiatry, 166(3): 311-319. Fairburn CG, Bailey-Straebler S, Basden S, Doll HA, Jones R, Murphy R et al. (2015) A transdiagnostic comparison of enhanced cognitive behaviour therapy (CBT-E) and interpersonal psychotherapy in the treatment of eating disorders. Behav Res Ther, 70: 64-71. Favaro A, Santonastaso P, Manara R, Bosello R, Bommarito G, Tenconi E et al. (2012) Disruption of visuospatial and somatosensory functional connectivity in anorexia nervosa. Biol Psychiatry, 72(10): 864–870. Fellows LK (2007) The role of orbitofrontal cortex in decision making. Ann N Y Acad Sci, 1121(1): 421-430. Ferro AM, Brugnolo A, De Leo C, Dessi B, Girtler N, Morbelli S et al. (2005) Stroop interference task and single‐photon emission tomography in anorexia: A preliminary report. Int J Eat Disord, 38(4): 323-329. Fladung AK, Grön G, Grammer K, Herrnberger B, Schilly E, Grasteit S et al. 2010. A neural signature of anorexia nervosa in the ventral striatal reward system. Am J Psychiatry, 167: 206–212. Foerde K, Steinglass JE, Shohamy, Walsh BT (2015) Neural mechanisms supporting maladaptive food choices in anorexia nervosa. Nat Neurosci, 18(11): 1571–1573. Fonville L, Giampietro V, Williams SCR, Simmons A, Tchanturia K (2014) Alterations in brain structure in adults with anorexia nervosa and the impact of illness duration. Psychol Med 44(09): 1965–1975. Frank GK, Kaye WH, Meltzer CC, Price JC, Greer P, McConaha C et al. (2002) Reduced 5-HT2A receptor binding after recovery from anorexia nervosa. Biol Psychiatry 52(9): 896–906. Frank GK, Bailer UF, Henry SE, Drevets W, Meltzer CC, Price JC et al. (2005) Increased Dopamine D2/D3 receptor binding after recovery from anorexia Nervosa measured by Positron emission tomography and [11C]Raclopride. Biol Psychiatry, 58(11): 908–912. Frank GK, Reynolds JR, Shott ME, Jappe L, Yang TT, Tregellas JR et al. (2012) Anorexia nervosa and obesity are associated with opposite brain reward response. Neuropsychopharmacology, 37(9): 2031-2046. Frank GK, Shott ME, Hagman JO, Yang TT (2013) Localized brain volume and white matter integrity alterations in adolescent anorexia nervosa. J Am Acad Child Adolesc Psychiatry, 52(10): 1066–1075. Frank GWK (2016) Aripiprazole, a partial dopamine agonist to improve adolescent anorexia nervosa—A case series. Int J Eat Disord 49: 529–533. Friederich HC, Kumari V, Uher R, Riga M, Schmidt U, Campbell IC et al. (2006) Differential motivational responses to food and pleasurable cues in anorexia and bulimia nervosa: A startle reflex paradigm. Psychol Med, 36(09): 1327. Friederich HC, Brooks S, Uher R, Campbell IC, Giampietro V, Brammer M et al. (2010) Neural correlates of body dissatisfaction in anorexia nervosa. Neuropsychologia, 48: 2878–2885. Friederich HC, Walther S, Bendszus M, Biller A, Thomann P, Zeigermann S et al. (2012) Grey matter abnormalities within cortico-limbic-striatal circuits in acute and weight-restored anorexia nervosa patients. Neuroimage, 59(2): 1106–1113. Frieling H, Albrecht H, Jedtberg S, Gozner A, Lenz B, Wilhelm J et al. (2009) Elevated cannabinoid 1 receptor mRNA is linked to eating disorder related behavior and attitudes in females with eating disorders. Psychoneuroendocrinology, 34(4): 620-624. Friston KJ, Buechel C, Fink GR, Morris J, Rolls E, Dolan RJ (1997) Psychophysiological and modulatory interactions in neuroimaging. Neuroimage, 6(3): 218–29. Gaetani S, Dipasquale P, Romano A, Righetti L, Cassano T, Piomelli D et al. (2009) The endocannabinoid system as a target for novel anxiolytic and antidepressant drugs. Int.Rev Neurobiol, 85: 57-72. Garrett AS, Lock J, Datta N, Beenhaker J, Kesler SR, Reiss AL (2014) Predicting clinical outcome using brain activation associated with set-shifting and central coherence skills in anorexia nervosa. J Psychiatric Res, 57: 26-33. Gaudio S, Nocchi F, Franchin T, Genovese E, Cannatà V, Longo D et al. (2011) Gray matter decrease distribution in the early stages of anorexia Nervosa restrictive type in adolescents. Psychiatry Res, 191(1): 24–30. Geisler D, Borchardt V, Lord AR, Boehm I, Ritschel F, Zwipp J et al. (2016) Abnormal functional global and local brain connectivity in female patients with anorexia nervosa. J Psychiatry Neurosci, 41(1): 6. Gérard N, Pieters G, Goffin K, Bormans G, Van Laere K (2011) Brain type 1 cannabinoid receptor availability in patients with anorexia and bulimia nervosa. Biol Psychiatry 70(8): 777-784. Ghahremani DG, Lee B, Robertson CL, Tabibnia G, Morgan AT, De Shetler, N et al. (2012) Striatal Dopamine D2/D3 receptors mediate response inhibition and related activity in frontostriatal neural circuitry in humans. J Neurosci, 32(21): 7316–7324. Giordano GD, Renzetti P, Parodi RC, Foppiani L, Zandrino F, Giordano, G et al. (2001) Volume measurement with magnetic resonance imaging of hippocampus-amygdala formation in patients with anorexia nervosa. J Endocrinol Invest, 24(7): 510-514. Goethals I, Vervaet M, Audenaert K, Jacobs F, Ham H, Van de Wiele C et al. (2007) Differences of cortical 5-HT 2A receptor binding index with SPECT in subtypes of anorexia nervosa: Relationship with personality traits? J Psychiatric Res 41(5): 455-458. Gold PW, Gwirtsman H, Avgerinos PC, Nieman LK, Gallucci WT, Kaye W et al. (1986) Abnormal hypothalamic–pituitary–adrenal function in anorexia nervosa. N Engl J Med, 314(21): 1335-1342. Golden NH, Ashtari M, Kohn MR, Patel M, Jacobson MS, Fletcher A et al. (1996) Reversibility of cerebral ventricular enlargement in anorexia nervosa, demonstrated by quantitative magnetic resonance imaging. J Pediatr, 128(2): 296–301. Goldzak-Kunik G, Friedman R, Spitz M, Sandler L, Leshem M (2012) Intact sensory function in anorexia nervosa. Am J Clin Nutr, 95(2): 272-282. Gorwood P, Kipman A, Foulon C (2003) The human genetics of anorexia nervosa. Eur J Pharmacol, 480(1): 163-170. Green MW, Elliman NA, Wakeling A, Rogers PJ (1996) Cognitive functioning, weight change and therapy in anorexia nervosa. J Psychiatr Res, 30(5): 401–410. Gross H, Ebert MH, Faden VB, Goldberg SC, Kaye WH, Caine ED et al. (1983) A double-blind trial of [DELTA] 9-Tetrahydrocannabinol in primary anorexia nervosa. J Clin Psychopharmacol, 3(3): 165-171. Guillaume S, Gorwood P, Jollant F, Van den Eynde F, Courtet P, Richard-Devantoy S (2015) Impaired decision-making in symptomatic anorexia and bulimia nervosa patients: a meta-analysis. Psychol Med, 45(16):p, 3377-3391. Haase L, Cerf-Ducastel B, Murphy C (2009) Cortical activation in response to pure taste stimuli during the physiological states of hunger and satiety. Neuroimage, 44(3): 1008–1021. Haleem DJ, Haider S (1996) Food restriction decreases serotonin and its synthesis rate in the hypothalamus. Neuroreport, 7(6): 1153-1156. Hartmann AS, Thomas JJ, Greenberg JL, Rosenfield EH, Wilhelm S (2015) Accept, distract, or reframe? An exploratory experimental comparison of strategies for coping with intrusive body image thoughts in anorexia nervosa and body dysmorphic disorder. Psychiatry Res, 225(3): 643–650. Harvey T, Troop NA, Treasure JL, Murphy T (2002) Fear, disgust, and abnormal eating attitudes: a preliminary study. Int J Eat Disord, 32(2): 213-218. Hay P (2013) A systematic review of evidence for psychological treatments in eating disorders: 2005-2012. Int J Eat Disord, 46(5): 462–469. Hayes DJ, Lipsman N, Chen DQ, Woodside DB, Davis KD, Lozano AM et al. (2015) Subcallosal cingulate connectivity in anorexia nervosa patients differs from healthy controls: a multi-tensor tractography study. Brain Stimul 8(4): 758-768. Hikosaka O, Isoda M (2010) Switching from automatic to controlled behavior: cortico-basal ganglia mechanisms. Trends Cogn Sci, 14(4):154-161. Hinton EC, Parkinson JA, Holland AJ, Arana FS, C Roberts A, Owen AM (2004) Neural contributions to the motivational control of appetite in humans. Eur J Neurosci, 20(5): 1411-1418. Hofmann, SG, Smits JA, Rosenfield D, Simon N, Otto MW, Meuret AE et al. (2013) D-Cycloserine as an augmentation strategy with cognitive-behavioral therapy for social anxiety disorder. 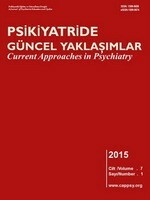 Am J Psychiatry, 170(7): 751–758. Holliday J, Tchanturia K, Landau S, Collier D, Treasure J (2005) Is impaired set-shifting an Endophenotype of anorexia Nervosa? Am J Psychiatry, 162(12): 2269–2275. Hudson JI, Hiripi E, Pope HG, Kessler RC (2007) The prevalence and Correlates of eating disorders in the national Comorbidity survey replication. Biol Psychiatry, 61(3): 348–358. Husain MM, Black KJ, Doraiswamy PM, Shah SA, Rockwell WK, Ellinwood EH et al. 1992. Subcortical brain anatomy in anorexia and bulimia. Biol Psychiatry 31(7): 735-738. Hutton P (2013) Deep brain stimulation for anorexia nervosa. Lancet, 382(9889): 305-306. Ishibashi R, Ralph MAL, Saito S, Pobric G (2011) Different roles of lateral anterior temporal lobe and inferior parietal lobule in coding function and manipulation tool knowledge: Evidence from an rTMS study. Neuropsychologia, 49(5): 1128–1135. Hwang J, Adamson C, Butler D, Janero DR, Makriyannis A, Bahr BA (2010) Enhancement of endocannabinoid signaling by fatty acid amide hydrolase inhibition: a neuroprotective therapeutic modality. Life Sci, 86(15): 615-623. Israël M, Steiger H, Kolivakis T, McGregor L and Sadikot AF (2010) Deep brain stimulation in the Subgenual Cingulate cortex for an intractable eating disorder. Biol Psychiatry, 67(9),: 53–54. Jänsch C, Harmer C, Cooper MJ (2009) Emotional processing in women with anorexia nervosa and in healthy volunteers. Eat Behav, 10(3): 184–191. Jatoi A, Windschitl HE, Loprinzi CL, Sloan JA, Dakhil SR, Mailliard J.A et al. (2002) Dronabinol versus megestrol acetate versus combination therapy for cancer-associated anorexia: a North Central Cancer Treatment Group study. J Clin Oncol 20(2): 567-573. Jean A, Laurent L, Bockaert J, Charnay Y, Dusticier N, Nieoullon A et al. (2012) The nucleus accumbens 5-HTR4-CART pathway ties anorexia to hyperactivity. Transl Psychiatry, 2(12): 203. Jimura K, Chushak MS, Braver TS (2013) Impulsivity and self-control during Intertemporal decision making linked to the neural dynamics of reward value representation. J Neurosci, 33(1): 344–357. Jones BP, Duncan CC, Brouwers P, Mirsky AF (1991) Cognition in eating disorders. J Clin Exp Neuropsychol, 13(5): 711–728. joos AA, Cabrillac E, Hartmann A, Wirsching M, Zeeck A (2009) Emotional perception in eating disorders. Int J Eat Disord, 42(4): 318–325. Joos A, Klöppel S, Hartmann A, Glauche V, Tüscher O, Perlov E et al. (2010) Voxel-based morphometry in eating disorders: Correlation of psychopathology with grey matter volume. Psychiatry Res 182(2): 146–151. Joos A, Hartmann A, Glauche V, Perlov E, Unterbrink T, Saum, B et al. (2011) Grey matter deficit in long-term recovered anorexia nervosa patients. Eur Eat Disord Rev, 19(1): 59–63. Kanakam N, Treasure J (2013) A review of cognitive neuropsychiatry in the taxonomy of eating disorders: State, trait, or genetic? Cogn Neuropsychiatry, 18(1-2): 83–114. Katzman DK (1997) A longitudinal magnetic resonance imaging study of brain changes in adolescents with anorexia Nervosa. Arch Pediatr Adolesc Med, 151(8): 793–797. Kaye WH, Gwirtsman HE, George DT, Ebert MH, Jimerson DC, Tomai TP et al. (1987) Elevated cerebrospinal fluid levels of immunoreactive corticotropin-releasing hormone in anorexia nervosa: relation to state of nutrition, adrenal function, and intensity of depression. J Clin Endocrinol Metab, 64: 203-208. Kaye WH, Frank GK, McConaha C (1999) Altered dopamine activity after recovery from restricting-type anorexia nervosa. Neuropsychopharmacology, 21(4): 503-506. Kaye WH, Frank GK, Bailer UF, Henry SE (2005) Neurobiology of anorexia nervosa: Clinical implications of alterations of the function of serotonin and other neuronal systems. Int J Eat Disord, 37(S10): 15–19. Kaye W (2008) Neurobiology of anorexia and bulimia nervosa. Physiol Behav, 94(1): 121-135. Kaye WH, Fudge JL, Paulus M (2009) New insights into symptoms and neurocircuit function of anorexia nervosa. Nat Rev Neurosci, 10(8): 573–584. Kaye WH., Wierenga CE, Bailer UF, Simmons AN, Bischoff-Grethe, A (2013) Nothing tastes as good as skinny feels: The neurobiology of anorexia nervosa. Trends Neurosci, 36(2): 110–120. Kazlouski D, Rollin MD, Tregellas J, Shott ME, Jappe LM, Hagman JO et al. (2011) Altered fimbria-fornix white matter integrity in anorexia nervosa predicts harm avoidance. Psychiatry Res, 192(2): 109-116. Keating C, Tilbrook AJ, Rossell SL, Enticott PG, Fitzgerald PB (2012) Reward processing in anorexia nervosa. Neuropsychologia, 50(5): 567–575. Kerns JG (2004) Anterior Cingulate conflict monitoring and adjustments in control. Science, 303(5660): 1023–1026. Kesic A, Lakic A (2014) P.7.d.003 Olanzapine in treatment of adolescents with anorexia nervosa. Eur Neuropsychopharmacol, 24: 721. Kjaer TW, Nowak M, Lou HC (2002) Reflective self-awareness and conscious states: PET evidence for a common Midline Parietofrontal core. Neuroimage, 17(2): 1080–1086. Kim JH, Son YD, Kim HK, Lee SY, Cho SE, Kim YB (2011) Association of harm avoidance with dopamine D2/3 receptor availability in striatal subdivisions: A high resolution PET study. Biol Psychol, 87(1): 164–167. Kim KR, Ku J, Lee JH, Lee H, Jung YC (2012) Functional and effective connectivity of anterior insula in anorexia nervosa and bulimia nervosa. Neurosci Lett, 521(2): 152–157. King JA, Geisler D, Ritschel F, Boehm I, Seidel M, Roschinski B et al. (2015) Global cortical thinning in acute anorexia Nervosa Normalizes following long-term weight restoration. Biol Psychiatry, 77(7): 624–632. Kingston K, Szmukler G, Andrewes D, Tress B, Desmond P (1996) Neuropsychological and structural brain changes in anorexia nervosa before and after refeeding. Psychol Med, 26(01): 15. Klump KL, Strober M, Bulik CM, Thornton L, Johnson C, Devlin B et al. (2004) Personality characteristics of women before and after recovery from an eating disorder. Psychol Med, 34(08): 1407–1418. Kojima S, Nagai N, Nakabeppu Y, Muranaga T, Deguchi D, Nakajo M et al. (2005) Comparison of regional cerebral blood flow in patients with anorexia nervosa before and after weight gain. Psychiatry Res, 140(3): 251–258. Kringelbach ML (2004) Food for thought: hedonic experience beyond homeostasis in the human brain. Neuroscience, 126(4): 807-819. Kullmann S, Giel KE, Teufel M, Thiel A, Zipfel S, Preissl H (2014) Aberrant network integrity of the inferior frontal cortex in women with anorexia nervosa. NeuroImage: Clin, 4: 615-622. Lambe EK (1997) Cerebral gray matter volume deficits after weight recovery from anorexia Nervosa. Arch Gen Psychiatry, 54(6): 537–542. Lang K, Treasure J, Tchanturia K (2015) Acceptability and feasibility of self-help Cognitive Remediation Therapy For Anorexia Nervosa delivered in collaboration with carers: A qualitative preliminary evaluation study. Psychiatry Res, 225(3): 387-394. Lavagnino L, Amianto F, Mwangi B, D’Agata F, Spalatro A, Soares GBZ et al. (2016) The relationship between cortical thickness and body mass index differs between women with anorexia nervosa and healthy controls. Psychiatry Res, 248: 105-109. Lawrence AD, Dowson J, Foxall GL, Summerfield R, Robbins TW, Sahakian BJ (2003) Impaired visual discrimination learning in anorexia nervosa. Appetite, 40(1): 85-89. Lawson EA, Holsen LM, DeSanti R, Santin M, Meenaghan E, Herzog DB et al. (2013) Increased hypothalamic–pituitary–adrenal drive is associated with decreased appetite and hypoactivation of food-motivation neurocircuitry in anorexia nervosa. Eur J Endocrinol, 169(5): 639-647. Le Bihan D, Mangin JF, Poupon C, Clark CA, Pappata S, Molko N et al. (2001) Diffusion tensor imaging: concepts and applications. J Magn Reson Imaging, 13(4), 534-546. Lee Y, Lin PY (2010) Association between serotonin transporter gene polymorphism and eating disorders: A meta‐analytic study. Int J Eat Disord 43(6): 498-504. Levinson CA, Rodebaugh TL, Fewell L, Kass AE, Riley EN, Stark L et al. (2015) D-Cycloserine facilitation of exposure therapy improves weight regain in patients with anorexia nervosa: A pilot randomized controlled trial. J Clin Psychiatry, 76(6):1-478. Li W, Lai TM, Bohon C, Loo SK, McCurdy D, Strober M et al. (2015) Anorexia nervosa and body dysmorphic disorder are associated with abnormalities in processing visual information. Psychol Med, 45(10):2111–2122. Lichtman JW, Sanes JR (2008) Ome sweet ome: What can the genome tell us about the connectome? Curr Opin Neurobiol, 18(3):346–353. Lipsman N, Woodside DB, Giacobbe P, Hamani C, Carter JC, Norwood SJ et al. (2013) Subcallosal cingulate deep brain stimulation for treatment-refractory anorexia nervosa: A phase 1 pilot trial. Lancet, 381(9875):1361–1370. Lipsman N, Woodside DB, Lozano AM (2015) Neurocircuitry of limbic dysfunction in anorexia nervosa. Cortex, 62:109-118. Lopez C, Roberts ME, Sepulveda AR, Treasure J (2008) Using an evidence-based approach to develop new tailored treatment for anorexia nervosa. In Psychological responses to eating disorders and obesity: recent and innovative work. Part II. Julia Buckroyd and Sharon Rother, eds. John Wiley & Sons LTD. Chichester, West Sussex, pp. 39-54. Lopez C, Tchanturia K, Stahl D, Booth R, Holliday J, Treasure J (2008) An examination of the concept of central coherence in women with anorexia nervosa. Int J Eat Disord, 41(2):143-152. Lo Sauro C, Ravaldi C, Cabras PL, Faravelli C, Ricca V (2008) Stress, hypothalamic-pituitary-adrenal axis and eating disorders. Neuropsychobiology, 57(3):95-115. Mainz V, Schulte-Rüther M, Fink GR, Herpertz-Dahlmann B, Konrad K (2012) Structural brain abnormalities in adolescent anorexia nervosa before and after weight recovery and associated hormonal changes. Psychosom Med, 74(6):574-582. Margulies DS, Kelly AC, Uddin LQ, Biswal BB, Castellanos FX, Milham MP (2007) Mapping the functional connectivity of anterior cingulate cortex. Neuroimage, 37(2):579-588. Marrazzi MA, Luby ED, Kinzie J, Munjal ID, Spector S (1997) Endogenous codeine and morphine in anorexia and bulimia nervosa. Life Sci, 60(20):1741-1747. Martásková D, Slachtova L, Kemlink D, Záhoráková D, Papezova H (2009) Polymorphisms in serotonin-related genes in anorexia nervosa. the first study in czech population and meta-analyses with previously performed studies. Folia Biol (Praha), 55:192-197. Maslen H, Pugh J, Savulescu J (2015) The Ethics of Deep Brain Stimulation for the Treatment of Anorexia Nervosa. Neuroethics, 8(3):215-230. Matsumoto R, Kitabayashi Y, Narumoto J, Wada Y, Okamoto A, Ushijima Y et al. (2006) Regional cerebral blood flow changes associated with interoceptive awareness in the recovery process of anorexia nervosa. Prog, Neuropsychopharmacol Biol Psychiatry, 30(7):1265-1270. Mayberg HS, Lozano AM, Voon V, McNeely HE, Seminowicz D, Hamani C et al. (2005) Deep brain stimulation for treatment-resistant depression. Neuron, 45(5):651-660. McAdams CJ, Krawczyk DC (2011) Impaired neural processing of social attribution in anorexia nervosa. Psychiatry Res, 194(1):54-63. McClelland J, Bozhilova N, Nestler S, Campbell IC, Jacob S, Johnson-Sabine E et al. (2013) Improvements in symptoms following neuronavigated repetitive transcranial magnetic stimulation (rTMS) in severe and enduring anorexia nervosa: findings from two case studies. Eur Eat Disord Rev, 21(6):500-506. McLaughlin NC, Didie ER, Machado AG, Haber SN, Eskandar EN et al. (2013) Improvements in anorexia symptoms after deep brain stimulation for intractable obsessive-compulsive disorder. Biol Psychiatry, 73(9):29-31. Mendelson SD (2001) Treatment of anorexia nervosa with Tramadol. Am J Psychiatry. 158(6):963-964. Milano W, De Rosa M, Milano L, Riccio A, Sanseverino B, Capasso A (2013) The pharmacological options in the treatment of eating disorders. ISRN Pharmacol, Article ID 352865. Monteleone P, Di Lieto A, Tortorella A, Longobardi N, Maj M (2000) Circulating leptin in patients with anorexia nervosa, bulimia nervosa or binge-eating disorder: relationship to body weight, eating patterns, psychopathology and endocrine changes. Psychiatry Res, 94(2):121-129. Monteleone P, Matias I, Martiadis V, De Petrocellis L, Maj M, Di Marzo V (2005) Blood levels of the endocannabinoid anandamide are increased in anorexia nervosa and in binge-eating disorder, but not in bulimia nervosa. Neuropsychopharmacology, 30(6):1216-1221. Monteleone P, Bifulco M, Di Filippo C, Gazzerro P, Canestrelli B, Monteleone F et al. (2009) Association of CNR1 and FAAH endocannabinoid gene polymorphisms with anorexia nervosa and bulimia nervosa: evidence for synergistic effects. Genes Brain Behav, 8(7):728-732. Monteleone P, Maj M (2013) Dysfunctions of leptin, ghrelin, BDNF and endocannabinoids in eating disorders: beyond the homeostatic control of food intake. Psychoneuroendocrinology, 38(3):312-330. Mohr HM, Zimmermann J, Röder C, Lenz C, Overbeck G, Grabhorn R (2010) Separating two components of body image in anorexia nervosa using fMRI. Psychol Med, 40(09):1519-1529. Mühlau M, Gaser C, Ilg R, Conrad B, Leibl C, Cebulla MH et al. (2007) Gray matter decrease of the anterior cingulate cortex in anorexia nervosa. Am J Psychiatry, 164(12):1850-1857. Nagahara Y, Nakamae T, Nishizawa S, Mizuhara Y, Moritoki Y, Wada Y et al. (2014) A tract-based spatial statistics study in anorexia nervosa: abnormality in the fornix and the cerebellum. Prog Neuropsychopharmacol Biol Psych, 51:72-77. Naruo, T, Nakabeppu Y, Deguchi D, Nagai N, Tsutsui, J, Nakajo M et al. (2001) Decreases in blood perfusion of the anterior cingulate gyri in Anorexia Nervosa Restricters assessed by SPECT image analysis. BMC Psychiatry, 1(1):2. Nelson K, Walsh D, Deeter P, Sheehan F (1994) A phase II study of delta-9-tetrahydrocannabinol for appetite stimulation in cancer-associated anorexia. J Palliat Care, 10(1):14-18. Nestler EJ (2013) Treating the Brain Deep Down: Brain surgery for anorexia nervosa?. Nature medicine, 19(6):678-679. Neumärker KJ, Bzufka WM, Dudeck U, Hein J, Neumärker U (2000) Are there specific disabilities of number processing in adolescent patients with anorexia nervosa? Evidence from clinical and neuropsychological data when compared to morphometric measures from magnetic resonance imaging. Eur.Child Adolesc Psychiatry, 9:S111-121. Nikendei C, Funiok C, Pfüller U, Zastrow A, Aschenbrenner S, Weisbrod M (2011) Memory performance in acute and weight-restored anorexia nervosa patients. Psychol Med, 41(04):829-838. Nunn K, Frampton I, Gordon I, Lask B (2008) The fault is not in her parents but in her insula-A neurobiological hypothesis of anorexia nervosa. Eur Eat Disord Rev, 16(5):355-360. Oberndorfer T, Simmons A, McCurdy D, Strigo I, Matthews S, Yang T et al. (2013) Greater anterior insula activation during anticipation of food images in women recovered from anorexia nervosa versus controls. Psychiatry Res, 214(2):132-141. O'Doherty J, Critchley H, Deichmann R, Dolan RJ (2003) Dissociating valence of outcome from behavioral control in human orbital and ventral prefrontal cortices. J Neuroci, 23(21):7931-7939. Ogawa H (1994) Gustatory cortex of primates: anatomy and physiology. Neurosci Res, 20(1):1-13. Oudijn MS, Storosum JG, Nelis E, Denys D (2013) Is deep brain stimulation a treatment option for anorexia nervosa? BMC Psychiatry, 13(1):277. Palazidou E, Robinson P, Lishman WA (1990) Neuroradiological and neuropsychological assessment in anorexia nervosa. Psychol Med, 20(03):521-527. Panizzon MS, Fennema-Notestine C, Eyler LT, Jernigan TL, Prom-Wormley E, Neale M (2009) Distinct genetic influences on cortical surface area and cortical thickness. Cereb Cortex, 19:2728–2735. Peciña S, Smith KS (2010) Hedonic and motivational roles of opioids in food reward: implications for overeating disorders. Pharmacol Biochem Behav, 97(1):34-46. Petrovich GD (2013) Forebrain networks and the control of feeding by environmental learned cues. Physiol Behav, 121:10-18. Pieters GL, de Bruijn ER, Maas Y, Hulstijn W, Vandereycken W, Peuskens J et al. (2007) Action monitoring and perfectionism in anorexia nervosa. Brain Cogn, 63(1):42-50. Prince AC, Brooks SJ, Stahl D, Treasure J (2009) Systematic review and meta-analysis of the baseline concentrations and physiologic responses of gut hormones to food in eating disorders. Am J Clin Nutr 89(3):755-765. Pritchard TC, Schwartz GJ, Scott TR (2007) Taste in the medial orbitofrontal cortex of the macaque. Ann N Y Acad Sci, 1121(1):12135. Renwick B, Musiat P, Lose A, DeJong H, Broadbent H, Kenyon M (2015) Neuro‐and social‐cognitive clustering highlights distinct profiles in adults with anorexia nervosa. Int J Eat Disord, 48(1): 26-34. Roberts ME, Tchanturia K, Stahl D, Southgate L, Treasure J (2007) A systematic review and meta-analysis of set-shifting ability in eating disorders. Psychol Med, 37(08):1075-1084. Roberts ME, Tchanturia K., Treasure J.L (2010) Exploring the neurocognitive signature of poor set-shifting in anorexia and bulimia nervosa. J Psychiatr Res, 44(14):964-970. Robbins TW, Gillan CM, Smith DG, de Wit S, Ersche K.D (2012) Neurocognitive endophenotypes of impulsivity and compulsivity: towards dimensional psychiatry. Trends Cogn Sci, 16(1): 81-91. Robinson ESJ, Eagle DM, Economidou D, Theobald DEH, Mar AC, Murphy ER et al. (2009) Behavioural characterisation of high impulsivity on the 5-choice serial reaction time task: specific deficits in ‘waiting’versus ‘stopping’. Behav Brain Res, 196(2):310-316. Rolls ET, Critchley HD, Verhagen JV, Kadohisa M (2010) The representation of information about taste and odor in the orbitofrontal cortex. Chemosens Percept, 3(1):6-33. Roubos EW, Dahmen M, Kozicz T, Xu L (2012) Leptin and the hypothalamo-pituitary–adrenal stress axis. Gen Comp Endocrinol, 177(1):28-36. Sallet J, Mars R, Quilodran R, Procyk E, Petrides M, Rushworth M (2011) Neuroanatomical basis of motivational and cognitive control: a focus on the medial and lateral prefrontal cortex. In Neural basis of motivational and cognitive control. Rogier B. Mars, Jerome Sallet, Matthew S. F. Rushworth, Nick Yeung, eds. MIT Press, London, pp. 5-20. Sanders N, Smeets PA, van Elburg AA, Danner UN, van Meer F, Hoek HW (2015) Altered food-cue processing in chronically ill and recovered women with anorexia nervosa. Front Behav Neurosci, 9 (46):1-11. Santana N, Bortolozzi A, Serrats J, Mengod G, Artigas F (2004) Expression of serotonin1A and serotonin2A receptors in pyramidal and GABAergic neurons of the rat prefrontal cortex. Cereb Cortex, 14(10):1100-1109. Sato Y, Saito N, Utsumi A, Aizawa E, Shoji T, Izumiyama M et al. (2013) Neural basis of impaired cognitive flexibility in patients with anorexia nervosa. PloS one, 2013; 8(5):e61108. Schultz W (2013) Updating dopamine reward signals. Curr Opin Neurobiol, 23(2):229-238. Seed JA, Dixon RA, McCluskey SE,Young AH (2000) Basal activity of the hypothalamic-pituitary-adrenal axis and cognitive function in anorexia nervosa. Eur Arch Psychiatry Clin Neurosci, 250(1): 11-15. Seitz J, Bühren K, von Polier GG, Heussen N, Herpertz-Dahlmann B, Konrad K (2014) Morphological changes in the brain of acutely ill and weight-recovered patients with anorexia nervosa. Zeitschrift für Kinder- und Jugendpsychiatrie und Psychotherapie, 42(1):7–18. Sforzo GA (1988) Opioids and exercise. Sports Med, 7(2):109-124. Shepherd GM (2007) Perspectives on olfactory processing, conscious perception, and orbitofrontal cortex. Ann N Y Acad Sci, 1121(1):87-101. Shott ME, Pryor TL, Yang TT, Frank GK (2016) Greater insula white matter fiber connectivity in women recovered from anorexia nervosa. Neuropsychopharmacology, 41(2):498-507. Siegmund A, Golfels F, Finck C, Halisch A, Räth, D, Plag J et al. (2011) D-cycloserine does not improve but might slightly speed up the outcome of in-vivo exposure therapy in patients with severe agoraphobia and panic disorder in a randomized double blind clinical trial. J Psychiatr Res, 45(8):1042-1047. Simmons JM, Ravel S, Shidara M, Richmond BJ (2007) A comparison of reward‐contingent neuronal activity in monkey orbitofrontal cortex and ventral striatum. Ann N Y Acad Sci, 1121(1):376-394. Slof-Op’t Landt MC, Bartels M, Middeldorp CM, van Beijsterveldt CE, Slagboom PE, Boomsma DI et al. (2013) Genetic variation at the TPH2 gene influences impulsivity in addition to eating disorders. Behav Genet, 43(1):24-33. Small DM, Zatorre RJ, Dagher A, Evans AC, Jones-Gotman M (2001) Changes in brain activity related to eating chocolate. Brain. 24(9):1720-1733. Smitka K, Papezova H, Vondra K, Hill M, Hainer V, Nedvidkova J (2013) The role of “mixed” orexigenic and anorexigenic signals and autoantibodies reacting with appetite-regulating neuropeptides and peptides of the adipose tissue-gut-brain axis: relevance to food intake and nutritional status in patients with anorexia nervosa and bulimia nervosa. Int J Endocrinol, ID 483145, 1-21. Southgate L, Tchanturia K, Treasure J (2008) Information processing bias in anorexia nervosa. Psychiatry Res, 160(2):221-227. Sparling PB, Giuffrida A, Piomelli D, Rosskopf L, Dietrich A (2003) Exercise activates the endocannabinoid system. Neuroreport, 14(17):2209-2211. Steiger H (2004) Eating disorders and the serotonin connection: state, trait and developmental effects. J Psychiatry Neurosci JPN, 29(1):20. Steinglass JE, Walsh BT, Stern Y (2006) Set shifting deficit in anorexia nervosa. J Int NeuroPsychol Soc, 12(03):431-435. Stuss DT, Levine B, Alexander MP, Hong J, Palumbo C, Hamer L (2000) Wisconsin Card Sorting Test performance in patients with focal frontal and posterior brain damage: effects of lesion location and test structure on separable cognitive processes. Neuropsychologia, 38(4):388-402. Suchan B, Busch M, Schulte D, Grönermeyer D, Herpertz S, Vocks S (2010) Reduction of gray matter density in the extrastriate body area in women with anorexia nervosa. Behav Brain Res 206(1): 63-67. Suchan B, Bauser DS, Busch M, Schulte D, Grönemeyer D, Herpertz S (2013) Reduced connectivity between the left fusiform body area and the extrastriate body area in anorexia nervosa is associated with body image distortion. Behav Brain Res, 241:80–85. Suchan, B, Vocks S, Waldorf M (2015) Alterations in activity, volume, and connectivity of body-processing brain areas in anorexia nervosa. Eur Psychol, 20(1):27–33. Sullivan PF (1995) Mortality in anorexia nervosa. Am J Psychiatry, 152(7):1073-1074. Swanson LW, Petrovich GD (1998) What is the amygdala? Trends Neurosci, 21(8):323-331. Swayze VW, Andersen A, Arndt S, Rajarethinam R, Fleming F, Sato Y et al. (1996) Reversibility of brain tissue loss in anorexia nervosa assessed with a computerized Talairach 3-D proportional grid. Psychol Med, 26(02):381-390. Swayze VW, Andersen AE, Andreasen NC, Arndt S, Sato Y, Ziebell S (2003) Brain tissue volume segmentation in patients with anorexia nervosa before and after weight normalization. Int J Eat Disord, 33(1):33-44. Szmukler GI, Andrewes D, Kingston K, Chen L, Stargatt R, Stanley R (1992) Neuropsychological impairment in anorexia nervosa: before and after refeeding. J Clin Exp Neuropsychol, 14(2):347-352. Takano A, Shiga T, Kitagawa N, Koyama T, Katoh, C, Tsukamoto E et al. (2001) Abnormal neuronal network in anorexia nervosa studied with I-123-IMP SPECT. Psychiatry Res, 07(1):45-50. Tchanturia K, Morris RG, Anderluh MB, Collier DA, Nikolaou V, Treasure J (2004) Set shifting in anorexia nervosa: an examination before and after weight gain, in full recovery and relationship to childhood and adult OCPD traits. J Psychiatr Res, 38(5):545-552. Tchanturia K, Davies H, Roberts M, Harrison A, Nakazato M, Schmidt U et al. (2012) Poor cognitive flexibility in eating disorders: examining the evidence using the Wisconsin Card Sorting Task. PloS one, 7(1):28331. Teitelbaum P, Stellar E (1954) Recovery from the failure to eat produced by hypothalamic lesions. Science, 120:894-895. Tenconi E, Degortes D, Clementi M, Collantoni E, Pinato C, Forzan M et al. (2016) Clinical and genetic correlates of decision making in anorexia nervosa. J Clin Exp Neuropsychol, 3:327-337. Teng K (2011) Premenopausal osteoporosis, an overlooked consequence of anorexia nervosa. Cleve Clin J Med 78(1):50-58. Terashi M, Asakawa A, Harada T, Ushikai M, Coquerel Q, Sinno MH et al. (2011) Ghrelin reactive autoantibodies in restrictive anorexia nervosa. Nutrition, 27(4):407-413. Titova OE, Hjorth OC, Schiöth HB, Brooks SJ (2013) Anorexia nervosa is linked to reduced brain structure in reward and somatosensory regions: a meta-analysis of VBM studies. BMC Psychiatry, 13(1):110. Toni I, Passingham RE (1999) Prefrontal-basal ganglia pathways are involved in the learning of arbitrary visuomotor associations: a PET study. Exp Brain Res, 127(1):19-32. Tsai SJ (2005) Repetitive transcranial magnetic stimulation: A possible novel therapeutic approach to eating disorders. Med. Hypotheses, 65(6):1176-1178. Turner H, Marshall E, Stopa L, Waller G (2015) Cognitive-behavioural therapy for outpatients with eating disorders: Effectiveness for a transdiagnostic group in a routine clinical setting. Behav Res Ther, 68:70-75. Uher R, Brammer MJ, Murphy T, Campbell IC, Ng VW, Williams SC et al. (2003) Recovery and chronicity in anorexia nervosa: brain activity associated with differential outcomes. Biol Psychiatry, 54(9):934-942. Uher R, Murphy T, Brammer MJ, Dalgleish T, Phillips ML, Ng VW et al. (2004) Medial prefrontal cortex activity associated with symptom provocation in eating disorders. Am J Psychiatry, 161(7): 1238-1246. Uher R, Murphy T, Friederich HC, Dalgleish T, Brammer MJ, Giampietro V et al. (2005) Functional neuroanatomy of body shape perception in healthy and eating-disordered women. Biol Psychiatry, 58(12):990-997. Urgesi C, Berlucchi G, Aglioti SM (2004) Magnetic stimulation of extrastriate body area impairs visual processing of nonfacial body parts. Curr Biol, 14(23):2130-2134. Van den Eynde F, Suda M, Broadbent H, Guillaume S, Eynde M, Steiger H et al. (2012) Structural magnetic resonance imaging in eating disorders: a systematic review of voxel‐based morphometry studies. Eur Eat Disord Rev, 20(2):94-105. Van den Eynde F, Guillaume S, Broadbent H, Campbell IC, Schmidt U (2013) Repetitive transcranial magnetic stimulation in anorexia nervosa: a pilot study. Eur Psychiatry, 28(2):98-101.
van Opstal AM, Westerink AM, Teeuwisse WM, van der Geest MA, van Furth EF, van der Grond J (2015) Hypothalamic BOLD response to glucose intake and hypothalamic volume are similar in anorexia nervosa and healthy control subjects. Front Neurosci, 9:159. Vaswani M, Linda FK, Ramesh S (2003) Role of selective serotonin reuptake inhibitors in psychiatric disorders: a comprehensive review. Prog Neuropsychopharmacol Biol Psych, 27(1):85-102. Veling H, Aarts H, Stroebe W (2011) Fear signals inhibit impulsive behavior toward rewarding food objects. Appetite, 56(3):643-648. Verhagen LA, Luijendijk MC, Korte-Bouws GA., Korte SM, Adan RA (2009) Dopamine and serotonin release in the nucleus accumbens during starvation-induced hyperactivity. Eur Neuropsychopharmacol, 19(5):309-316. Via E, Zalesky A, Sánchez I, Forcano L, Harrison BJ, Pujol J et al. (2014) Disruption of brain white matter microstructure in women with anorexia nervosa. J Psychiatry Neurosci, 39(6):367. Vicario CM (2013) Altered insula response to sweet taste processing in recovered anorexia and bulimia nervosa: a matter of disgust sensitivity? Am J Psychiatry, 170(12):1497. Vocks S, Busch M., Schulte D, Grönermeyer D, Herpertz S, Suchan B (2010) Effects of body image therapy on the activation of the extrastriate body area in anorexia nervosa: an fMRI study. Psychiatry Res, 183(2):114-8. Vocks S, Herpertz S, Rosenberger C, Senf W, Gizewski ER (2011) Effects of gustatory stimulation on brain activity during hunger and satiety in females with restricting-type anorexia nervosa: an fMRI study. J Psychiatr Res, 45(3):395-403. Vogt BA, Nimchinsky EA, Vogt LJ, Hof PR (1995) Human cingulate cortex: surface features, flat maps, and cytoarchitecture. J Comp Neurol, 359(3):490-506. Volkow ND, Baler RD (2015) NOW vs LATER brain circuits: implications for obesity and addiction. Trends Neurosci, 38(6):345-352. Wagner A, Ruf M, Braus DF, Schmidt MH (2003) Neuronal activity changes and body image distortion in anorexia nervosa. Neuroreport, 14(17):2193-2197. Wagner A, Barbarich‐Marsteller NC, Frank GK, Bailer UF, Wonderlich SA, Crosby RD et al. (2006) Personality traits after recovery from eating disorders: Do subtypes differ? Int J Eat Disord 39(4): 276-284. Wagner A, Aizenstein H, Venkatraman VK, Fudge J, May JC, Mazurkewicz L et al. (2007) Altered reward processing in women recovered from anorexia nervosa. Am J Psychiatry, 164(12):1842-1849. Wagner A, Aizenstein H, Mazurkewicz L, Fudge J, Frank GK, Putnam K et al. (2008) Altered insula response to taste stimuli in individuals recovered from restricting-type anorexia nervosa. Neuropsychopharmacology, 33(3):513-523. Warren MP (2011) Endocrine manifestations of eating disorders. J Clin Endocrinol Metab, 96(2): 333-343. Wierenga CE, Bischoff-Grethe A, Melrose AJ, Irvine Z, Torres L, Bailer UF et al. (2015) Hunger does not motivate reward in women remitted from anorexia nervosa. Biol Psychiatry, 77(7):642-652. Williamson DA, White MA, York-Crowe E, Stewart TM (2004) Cognitive-behavioral theories of eating disorders. Behav Modif, 28(6):711-738. Winkler AM, Kochunov P, Fox PT, Duggirala R, Almasy L, Blangero J et al. (2009) Heritability of volume, surface area and thickness for anatomically defined cortical brain regions estimated in a large extended pedigree. Neuroimage, 47(1):162. Wu H, Van Dyck-Lippens PJ, Santegoeds R, van Kuyck K, Gabriëls L, Lin G et al. (2013) Deep-brain stimulation for anorexia nervosa. World Neurosurg, 80(3):29. Yau WYW, Bischoff-Grethe A, Theilmann RJ, Torres L, Wagner A, Kaye WH et al. (2013) Alterations in white matter microstructure in women recovered from anorexia nervosa. Int J Eat Disord, 46(7):701-708. Yim GK, Lowy MT (1984) Opioids, feeding, and anorexias. Fed Proc, 43(14):2893-2897. Young LT, Bagby RM, Cooke RG, Parker JD, Levitt AJ, Joffe RT (1995) A comparison of Tridimensional Personality Questionnaire dimensions in bipolar disorder and unipolar depression. Psychiatry Res, 58(2):139-143. Zastrow A, Kaiser S, Stippich C, Walther S, Herzog W, Tchanturia, K et al. (2009) Neural correlates of impaired cognitive-behavioral flexibility in anorexia nervosa. Am J Psychiatry, 166(5):608-616. Zhang HW, Li DY, Zhao J, Guan YH, Sun BM, Zuo CT (2013) Metabolic imaging of deep brain stimulation in anorexia nervosa: a 18F-FDG PET/CT study. Clin Nucl Med, 38(12):943-948. Zhang D, Raichle ME (2010) Disease and the brain’s dark energy. Nat Rev Neurol, 6:15–28. Zhu Y, Hu X, Wang J, Chen J, Guo Q, Li C et al. (2012) Processing of food, body and emotional stimuli in anorexia nervosa: a systematic review and meta‐analysis of functional magnetic resonance imaging studies. Eur Eat Disord Rev, 20(6):439-450. Zipfel S, Wild B, Groß G, Friederich HC, Teufel, M., Schellberg D et al. (2014) Focal psychodynamic therapy, cognitive behavior therapy, and optimised treatment as usual in outpatients with anorexia nervosa (ANTOP study): randomised controlled trial. Lancet, 383(9912):127-137.